CashCrate is a company that will pay you to take surveys and fill out offers. Unlike many similar sites, CashCrate is legit. They also have an affiliate program so you can also make money that way. 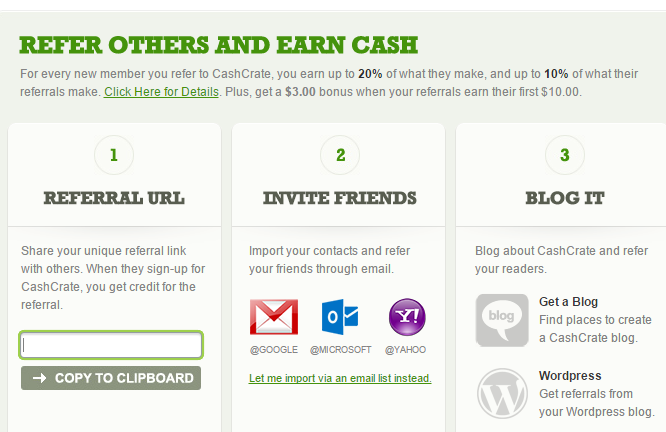 You can read more about their affiliate program by clicking here: CashCrate Referral Program. 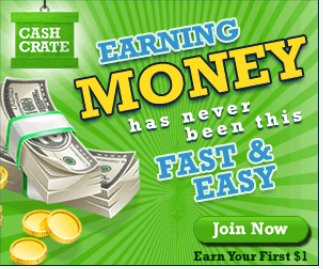 How Do You Earn Money with CashCrate? How Much Can You Earn with CashCrate? When you first join, you get a $1 just for signing up. You can make roughly $100 per month by completing the surveys, offers, tasks, etc. The referral program is where you make the real money though. Is CashCrate a Scam, Like Other Survey Sites? No, CashCrate isn’t a scam, but I wouldn’t rely on it to earn dependable income or much income at all. I completed some surveys and was paid little more than a couple of dollars. One frustrating thing about CashCrate is that you will be in the middle of taking a survey, and at the end of taking it, it will inform you that you aren’t eligible for that particular survey. It then re routes you to another survey. If you have a lot of patience and time, and don’t mind doing a lot of work for just some spare change, I would say to go ahead and sign up with CashCrate. Or sign up with their affiliate program if you are interested in earning more money. Earnings for the current month are sent on the 1st or on the 15th of the following month. When you’re paid depends on your member status, and the payment method that you have chosen. Keep in mind that you must have a $20 balance before you’re paid. Check: Checks are mailed to you as soon as possible after the 1st of the month. PayPal: Payments are sent on the 1st of the month. You must have received and cashed at least one check. Dwolla: Payments are sent on the 1st of each month. Dwolla is similar to PayPal. You must be a United States resident to use Dwolla. Direct Deposit: Payments are sent on the 1st. Direct deposit is only available to United States residents and usually takes a few days to show up in your bank account. 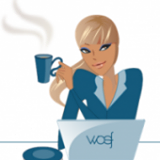 There is an interesting community with a forum, blog, contests, and even live contests. During the live contests there is a live chat that takes place. You can receive free samples. Some of the surveys are fun. Your earnings are shown in real-time. Some of the surveys, tasks, etc. seem tedious. The first time you’re paid, it must be by check. Some payment methods are only allowed for U.S. residents. It’s not a dependable way to earn full-time income. I’d appreciate it if you would leave a comment below and let me know what you think of CashCrate, or any similar company. Thanks! CashCrate is definitely legit. I’ve made over $1,000 from the site since signing up just over two years ago. My hope is to continue a steady stream of earnings on a regular basis. While I won’t be able to retire solely on CashCrate earnings, they can add to the nest egg over time. Hi Chris. Wow, so you’ve earned $1,000 with CashCrate, that’s great! I wouldn’t depend on them to earn a full-time income, but they’re great for earning some extra money.